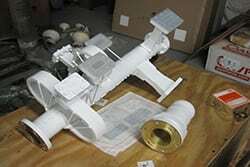 Selling Satellite equipment and bandwidth for Fifteen years. New Era began operation in the year 2000, and so July of this year will mark our fifteenth anniversary. Originally we only intended to provide African customers with Satellite Internet and Telephony. At that time hardware and bandwidth suppliers were separate, leaving customers to work with two separate companies for the complete solution. We felt that we could do better! 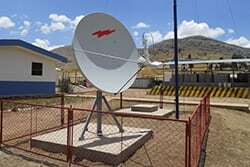 Satellite Connection in Africa and South America. As more and more organizations seek a way to broadcast their message to their followers, clients or employees, we see an opportunity to offer professional level help with content creation through to content delivery. Although You-tube gives an outlet for archived footage, it’s not for real-time live broadcast. Also when you see the poor quality of many You-tube video’s you recognize that you need more than a $500 video camera or iPhone to get the job done. New Era in partnership with Tecnomedia.tv can provide professional results at budget prices. Our early goal was to be the one-stop shop that would configure, sell, install and then operate the circuit for the client. We never really intended to get into the used equipment business, but we fell into it, because our customers were often in trouble. When we sold a new VSAT package we tried to persuade the client to buy redundancy, sometimes they did, most times they didn’t. So when their transceiver crashed, they found an eight week delivery cycle for a replacement, and a pile of money. It was the delay more than the cost that hurt the VSAT operator, if they were down for more than a week, all of their customers would move somewhere else. More by luck than planning we had spare equipment at our teleport, half the price of new equipment and shipping the same week solved two major problems for our clients.